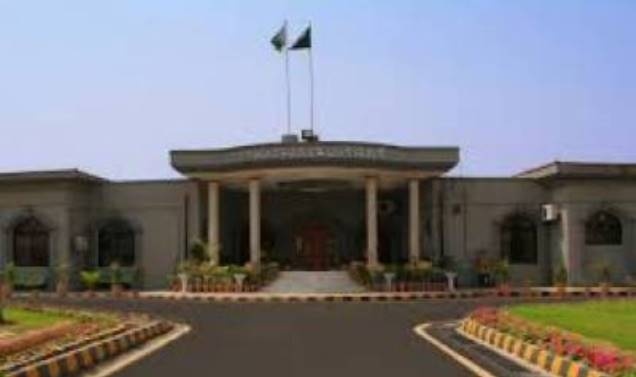 ISLAMABAD – The Islamabad High Court Wednesday suspended a government notification about abolishment of Kashmir Council and amendments in AJK Interim Act 1974. A single bench of IHC comprising Justice Aamer Farooq conducted hearing of the petition moved by the members of Kashmir Council and issued notices to all the respondents including the federation by terming the petition as maintainable. Member of Kashmir council Siddique Battali and other members moved the court against the government’s decision through their counsel Sardar Abul Razzaq Advocate and nominated federation and others as respondents. During the hearing, Advocate Razzaq adopted before the court that Kashmir council is only legal and constitutional bridge between Pakistan and AJK. He continued that in every democracy of the world, every Parliament has two houses and Kashmir council is the senate of AJK. He contended that the stakeholders were not taken into confidence before formulation of constitutional draft and it was only prepared by the secretary and advisor of the Prime Minister. He also added that the political leadership of Pakistan and Kashmir were also not taken into confidence. The counsel maintained that Parliament as well as the institutions responsible for the security were also not taken into confidence. He argued that the amendments could cast serious implications regarding the security and defence of Pakistan and AJK. He adopted that AJK is very sensitive issue and change on the desire of anyone could not be brought there. Razzaq said that this government is going to complete its tenure and new caretaker setup is being setup and in this scenario, the present government has no power to bring drafted changes in AJK.